The new Audi A6 Allroad was spotted cruising down the road sans camouflage. One sees many interesting things here at the CarBuzz office, and this one we had to pass along to our readers. We were just sent one photo showing the new Audi A6 Allroad on the road without any camouflage. The bad news is that this is the only photo, and we don&apos;t have it in any better quality. We still wanted to share it with our loyal readers and we will send out any additional photos or information as we receive them. Photo: CarPix. The Audi A6 is a top-notch executive sedan, though it may be better to wait for the imminent all-new version. The new A6 is a tech powerhouse, but can it save the sedan? 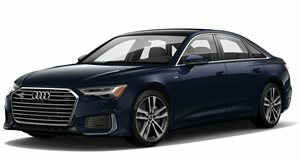 Audi’s new A6 has near A8 levels of comfort. The A6 gives new meaning to the term "smooth ride."